There are many pet cleaning products that come as a rescue for the pet owners in keeping the pets healthy while also protecting them at the same time. There are a number of reasons the pets might give us on a routine basis that could embarrass us such as sniffing or even eating poop and the list can go on endlessly. Pet cleaning products come in handy in these situations and help the pet owners in keeping the pets and also the surroundings clean. However for most of the pet owners this can be just a part of being a pet owner and makes a great story tale narration! The reason is quite simple – they aren’t any lesser than our children. Are you ever aware of the fact that there are some chemical cleaners that are toxic or there are certain products available that contain synthetic fragrance that could be a major health hazard for pets? There is a lot of toxic content found in the house-hold commodities such as spray cleaners, room sprays and due to this cancer is on the rise in both cats and dogs. Pets are more susceptible to these chemicals and they load their stomach and body system causing severe toxic health reactions. This is mainly due to the reason that pets expose themselves to these chemicals and lick, rub and stay inside the house than we remain at home. Therefore it is essential and mandatory to keep the house clean and safe with the help of pet cleaning products. It is very essential to choose the right set of pet cleaning products so as to reduce the percentage of exposing the pet to dirt, dust and toxic chemicals. House-hold products such as floor cleaners, wax, polish and other conventional products are bound to contain mineral spirits and other solvents that are toxic in nature and could lead to eye damage or skin rash and irritation. Carpet cleaners and wax removers have been tested of tripropylene glycol monomethyl, which can lead to narcosis and kidney injuries too due to prolonged skin exposure to these products. The toilet bowls are highly caustic leading to the formation of toxic gases while they get mixed with water. These are a mixture of ammonium chloride and dichlorobenzene which are quite toxic and carcinogenic for any living being. This can lead to kidney damage, eye and skin infection, and respiratory problems. Thereby it becomes our responsibility to take care of the pet cleaning products we purchase and make use of only natural ones which are clinically proven safe and doesn’t have any side-effects. Natural cleaning is a very big category and hence shouldn’t be taken lightly at all and only those products should be chosen which are safe and completely natural. 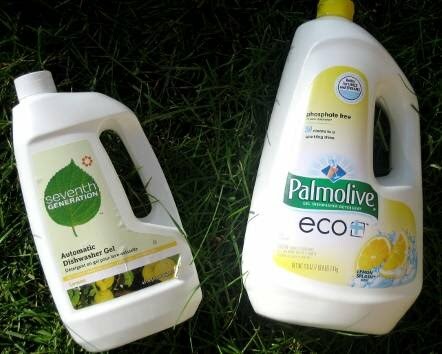 The brands that contain a “Green” title ranking by Eco sale should be given a nod straightaway! So the products which have lesser carcinogens should be chosen to prevent the pets from getting exposed to any major risks while you are away from home.